Good idea, good intentions, but not accurate. He used biblical examples to show his point, but they were complete inaccurate! Time after time his biblical examples were nothing more than names from the Bible, but made up false scenarios. Example, Cain didn't kill his brother because he wanted to be alone, he killed his brother because he was jealous of the favor God was showing him because he was providing blood sacrifices instead of the plant sacrifices Cain was bringing. 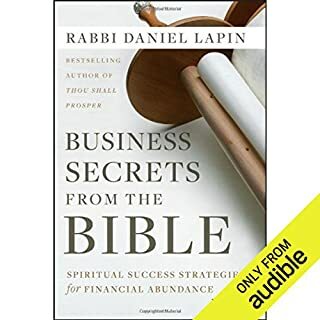 If your going to make a book about the Bible and business, use the Bible correctly, otherwise, just write a business book!